The National Teachers Science Congress (NTSC) is an initiative of the National Council for Science & Technology Communication (NCSTC), Department of Science & Technology (DST), Govt. of India. 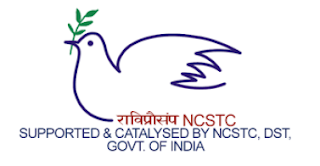 NTSC aims at providing a platform to science and mathematics teachers to communicate their ideas, share new experiments in teaching methodology and science education and enhance their level of scientific awareness. The 9th NTSC is being hosted by Vikram A Sarabhai Community Science Centre (VASCSC) during 14-16 December 2018 at Ahmedabad. Papers are invited from teachers/educators who wish to present innovative and original ideas in science education and communication, based on the subthemes under the focal theme of the event. • School teachers of upper primary, secondary and higher secondary levels. • Educators of vocational/open schools, teacher educators, DIET faculty, science educators/communicators, B.Ed/M.Ed students, researchers and scientists are also eligible. Please visit the website for Guidelines, Registration Form and more details. For those who wish to get further guidance on the theme, subtheme and paper writing; orientation workshops are also being planned in different regions. Details will be announced on the website.